Let the sounds and flavours captivate your senses. Experience the richness and vibrancy of its culture, vast landscapes and its colourful cities. 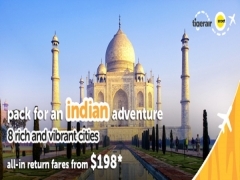 Time to pack your bags for an Indian Adventure! For Scoot flights: Fares comprise the price of the air ticket and associated taxes. Fares indicated are round-trip, for travel originating out of Singapore. Taxes are subject to change due to currency fluctuations. Blackout periods may apply during school holidays and event periods. Unless stated otherwise, Economy Fly fares exclude checked baggage, meals and inflight entertainment. 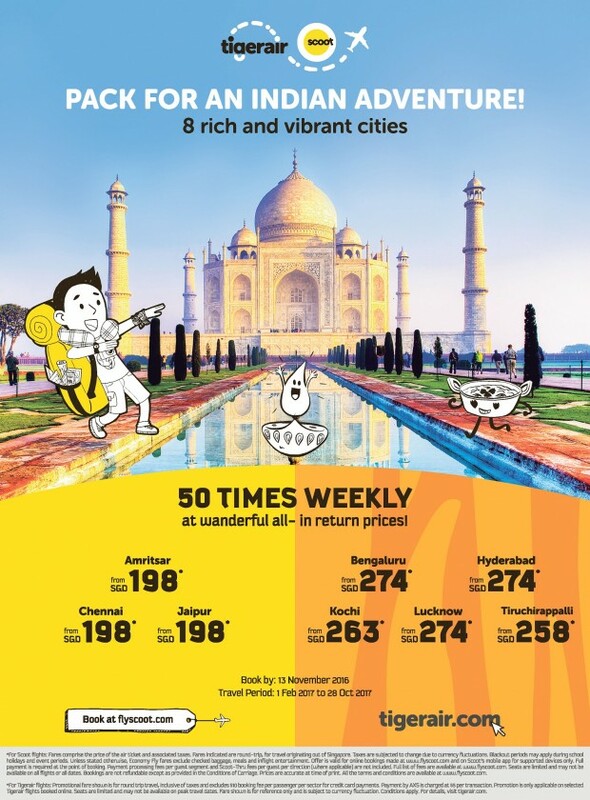 Offer is valid for online bookings made at www.flyscoot.com and on Scoot’s mobile app for supported devices only. Full payment is required at the point of booking. Payment processing fees per guest segment and Scoot-Thru fees per guest per direction (where applicable) are not included. Full list of fees are available at www.flyscoot.com. Seats are limited and may not be available on all flights or all dates. Bookings are not refundable except as provided in the Conditions of Carriage. All the terms and conditions are available at www.flyscoot.com.